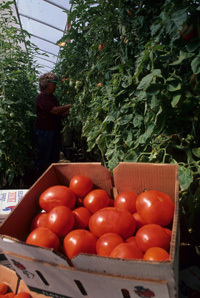 Provides information relevant to N.C. concerning fertilizer use, insect control, chemical weed control and disease control.North Carolina ranked fifth nationally in the production of bell peppers in 2003, representing 3.7 percent of U. S. production. A total of 600,000 cwt. of bell peppers were produced in North Carolina.